I am going to post an image from each of the 22 parks we visited in order of our visits. Shortly after there will be a few images added to that park in the National Park Galleries section. Today, Harper’s Ferry. 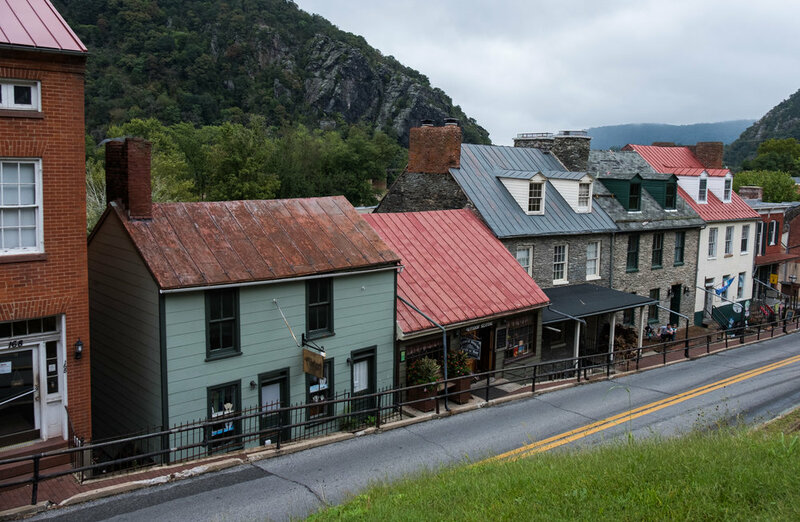 This town that clings to the side of a steep hill and has often been flooded by the two rivers that converge was a strategic spot during the Civil War. It was most famous for John Brown’s raid on the US Arsenal that was here, first established by Geo Washington. The National Park Service unit has a visitor center a couple miles from town and they shuttle you in on buses because parking is very scarce. I have been here a few time and it always seems like the town just can’t quite make it. But it is a neat place, lots of scenery and history make their home here.